This analysis presents the results of water testing that community water systems across the country conducted in 2015. 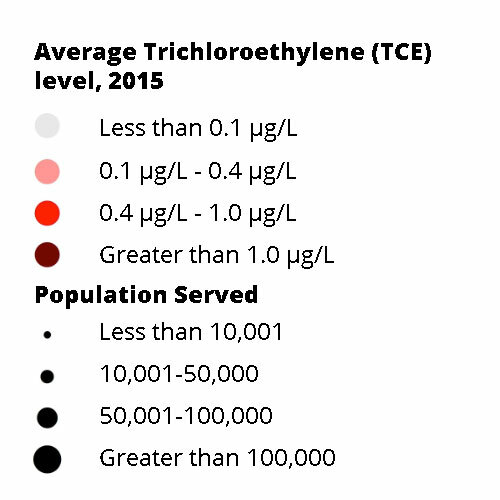 Water testing data for trichloroethylene and other contaminants were provided to EWG by state drinking water agencies and posted online in EWG’s Tap Water Database. Information in the EWG map and analysis reflect water quality in 2015 - since that time, some of the water utilities displayed in the map may have installed additional treatment or changed water sources. The most up-to-date information about trichloroethylene in a specific utility’s water should be obtained from the water utility directly.